Moms.. How are you today??!hmm.. think your baby is old enough to give homemade baby food a try? 1. Homemade baby food is simple to prepare and requires nothing you do not likely already own. 2. 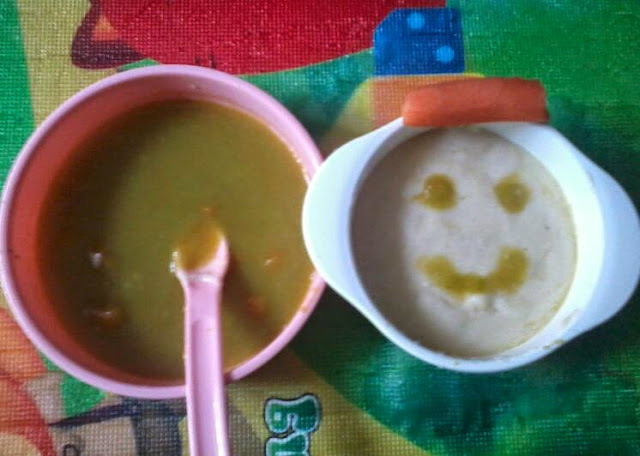 Homemade baby food can introduce your child to tastes they would otherwise not have available to them. 3. Homemade baby food can be made in the quantities you need; reducing waste of both food and money. 4. Homemade baby food is fresher and free of any and all preservatives. Moms,,, usually, baby's first taste of solid food should be a single ingredient, age appropriate food. A few wonderful choices for first foods for babies, as many pediatric resources are now acknowledging, are tasty and creamy avocados, bananas and sweet potatoes. These healthy and nutritious foods make really great first foods for baby because they are easy to digest and full of vitamins, minerals, fats and other nutrients a growing baby needs. Making home-made baby food requires nothing more than a food processor or blender, a microwave and/or stove top for cooking and steaming most vegetables, fruits and cereals, basic cooking utensils and possibly even a small pestle. And always remember moms, use clean, disinfected utensils to make your baby’s food. Using a dishwasher that steam dries helps to kill any bacteria that might be lurking on a spoon or blades of a blender.